Four months into her second term in office, President Dilma Roussef faces a political and economic crisis described by politicians and commentators as “the most serious” in over two decades. A stagnated economy combined with a demoralizing corruption scandal involving the state oil company Petrobras, has led to what is perhaps the weakest executive government branch in Brazil since the return to democracy in the mid 1980’s. On April 9th, 2015, the Brazil Institute brought together André Singer and Sérgio Fausto, of opposing camps in policy debates, to present their assessments of what lays ahead for Brazil. The meeting, which took place in the 5th Floor Conference room of the Woodrow Wilson International Center for Scholars, was moderated by Paulo Sotero, Director of the Brazil Institute. 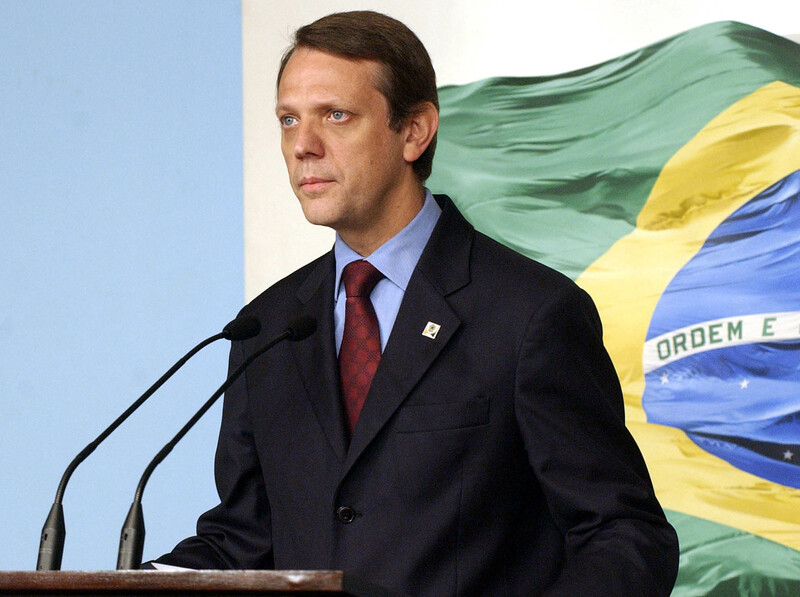 Singer is a political science professor at the University of São Paulo and former press secretary to President Luiz Inácio Lula da Silva. Fausto, a sociologist, is the Executive Director of the Fernando Henrique Cardoso Institute. Despite opposing opinions with regards to economic adjustments and fiscal reform, both concurred that overcoming the current crisis will require meticulous negotiations which may, in turn, lead to a change in the political landscape. Impeachment is not a real possibility. “Major political and economic actors have no interest whatsoever in rocking the political boat, because the costs far exceed the benefits. Paradoxically, we are living through an acute crisis, but institutions are robust and working well.” Not only do the executive institutions have the necessary tools to manage the situation, but the relationship between Congress, the judiciary, and the executive branches is working well. Currently, Brazil is facing three challenges, “a corruption scandal, growing difficulties with the parties that form its political base in Congress, and an economic problem.” With regards to the Petrobras corruption scandal, Singer emphasized that the structural aspect of it is nothing new, neither in Brazil nor anywhere else in the world, “it is a problem faced by all democracies, to varying extents.” However, its effect on the Workers’ Party has proven to be significant. The economic and political crisis currently plaguing Brazil sheds light onto a number of challenges that have emerged, from political legitimacy, to power dynamics in Congress, to the paralysis caused by the Petrolão. Central to the debate of the economic and fiscal adjustments is the pressing concern for maintaining the social gains achieved over the past decade and the extent of the inevitable recession. Fausto argued that fiscal adjustments are paramount to long term economic stability, but that the short-term social implications and economic recession are likely to be severe. Central to his premise is the notion that macroeconomic indiscipline has been extremely costly for Brazil, and that macroeconomic stability is the only way forward. Singer, to the contrary, believes these adjustments were strictly a political decision. He sees the short-term result of the recession as hugely concerning, especially in regards to its effects on the social development the Workers’ Party helped bring about over the past 16 years. The path out of the current troubles will require significant negotiations, and will potentially lead to a shift of the political landscape. Despite prevailing pessimism, democratic institutions Brazil built in the past three decades are resilient enough to allow the country to overcome the crisis and emerge stronger than before. *Photo courtesy of Agência Brasil.